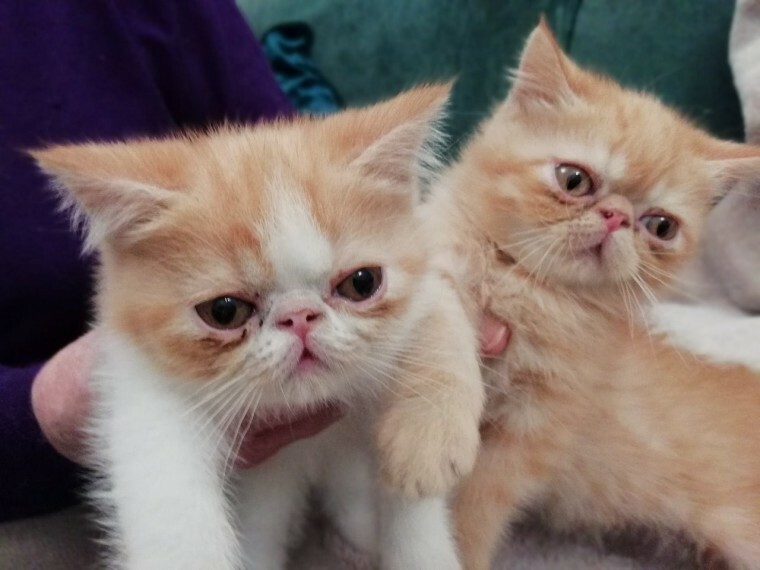 Imperial Grand Champion Sired Exotic Kittens 3 Red. White Bi Colour Boys 1 Red Self Girl. Our babes are very well socialised. brought up in our busy home. and are used to all household noises. and are cuddly. lively bundles of fun. Mum and Dad are our pets first and foremost. both live here with us and can be seen. Ours is a P.K.D. Negative Show home. All our kittens are Vet Checked twice. G.C.C.F. Registered. Litter Trained. have a 5 Generation pedigree. 4 weeks free Insurance. all will be Wormed. and Neutered before leaving home. They will take a goody bag containing wet and dry food. litter toys and blanket to their new homes.